Since its introduction in 2009, bitcoin has taken the financial world by storm. The enormous gains in bitcoin’s value are attracting attention around the world, both positive and negative. People ranging from everyday consumers to central bankers now have an eye on the digital currency. Some remain skeptical. Several high-profile hacks in which tens or even hundreds of millions of dollars-worth of bitcoin were stolen from bitcoin exchanges have raised doubts that a purely digital asset can ever be secured. Others wonder if money without official government backing and no physical manifestation can really succeed. On the other hand, many see bitcoin as the future of money – destined to end run banks and governments and the fiat currency systems they control. Bitcoin is a peer-to-peer, decentralized, digital currency with more than 10 million holders as of this writing. The lure of decentralization, lower transaction fees, and pseudo-anonymity has fostered adoption around the world. And people are increasingly looking for alternatives as central banks around the world continue to abuse national currencies. There is a particular concern regarding the U.S. Federal Reserve Bank’s perpetual devaluation of its Federal Reserve Notes – commonly known as dollars. 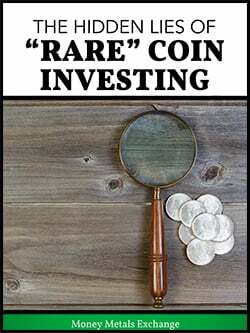 Although it is no longer a true dollar, which was historically defined in terms of a certain amount of silver, today’s U.S. dollar is still the world’s reserve currency. And Fed officials recognize no limits in terms of how many dollars can be created. Bitcoin was created by a software developer, or a group of developers, under the pseudonym Satoshi Nakamoto. It is the product of open-source software that rewards the solving of complex mathematical equations with bitcoin, a process called “bitcoin mining.” The total supply of bitcoin has a hardcoded limit of 21 million bitcoins over time. The mining process also builds and secures a digital ledger called the blockchain. Each bitcoin transaction is confirmed and embedded permanently in the blockchain. In other words, everyone holds the same distributed ledger which accounts which “wallet” have what amount. Bitcoin users store the currency in these software “wallets.” Each wallet can produce “addresses,” or pseudo-anonymous identifiers, made up of a long string of alphanumeric characters which are used to send the cryptocoin between users. The public addresses work similarly to an email address in that if someone has your address, they can send you bitcoin but can’t access your “inbox,” or account information. Each user also has a private address which is a secret they alone have access to. Both the public and a private address must be used together to complete a transaction. The million-dollar question facing consumers, investors, and the central banks of the world is a simple one with a complex answer: dollars, gold, or bitcoin? One of the most glaring issues with today’s Federal Reserve Note is how susceptible it can be to inflationary practices. Prices in 2017 are 2372.6% higher than prices were in 1913. Said another way, $100 in 1913 will buy you the same basket of goods as $2,472.59 in 2017. Bitcoin experienced severe inflation (i.e., rapidly increasing supply) when it was first introduced but has since stabilized. This is expected. Bitcoin has a fixed supply of 21 million bitcoins. Inflation will steadily continue to decrease as money supply steadily increases until all 21 million bitcoins have been mined. While bitcoin is exponentially less vulnerable to inflation than the Federal Reserve Note because the ultimate supply is limited, one would be remiss to say bitcoin is completely immune to price inflation – which is to say a loss of purchasing power. Bitcoin, like fiat currencies, is susceptible to a loss in confidence. If people do not believe in its utility, its value will evaporate. As a protection against currency devaluation, gold has a 5000-year proven track record. People have never lost all confidence in gold. History is littered with the corpses of dead fiat currencies. Cryptocoins, including bitcoin, do not have much history at all. One concern voiced by skeptics of digital currencies is security. Large scale hacks have marred bitcoin’s otherwise meteoric rise, most notable is the 2014 hack of Mt. Gox in which over 600 million dollars-worth of bitcoin was lost to hackers. It is important to note that this hack was the fault of Mt. Gox and their practices, not a fundamental flaw in bitcoin itself. The decentralized nature of bitcoin can provide tremendous security, for those who are careful. The high-profile thefts of bitcoin have occurred at large exchanges where thousands of holders store bitcoin in the companies’ centralized wallet. These large honeypots have been irresistible to hackers and thieves. Judicious bitcoin holders do not store coins in the exchanges. They take possession in private wallets which they alone control, making it very hard for bad guys to target them. Properly done, wallets do not carry identifying information about the owner. Crooks will find it nearly impossible to identify who controls the wallet and steal passwords and other access credentials. It is worth noting that the software that runs bitcoin is open source and has been well tested, but there is no guarantee that a flaw won’t be found and exploited. Developers can also periodically update the software. That process raises the possibility that vulnerabilities could be introduced. 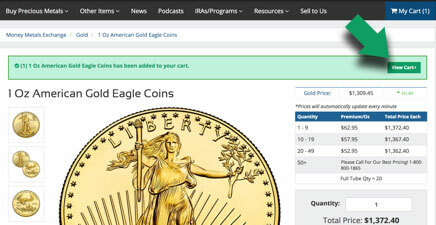 Physical gold, held in personal possession, is of course the original “decentralized asset.” That makes both gold coins and bullion and bitcoin superior to dollars in terms of security. The modern financial system has plenty of crooked bankers. Identity thieves and other criminals have built entire illicit industries around stealing dollars from people. Then there is the Federal Reserve Bank who centrally plans and controls our monetary system. Their stated objective is to diminish the purchasing power of dollars a few percent each year. But Americans will be the last to know what our secretive central bankers actually do. They have been experimenting with extraordinary policy in recent years. Physical cash and precious metals can be used as money in extreme situations. For that reason, people should keep some on hand in the event they lose electricity and access to the internet. Among the advantages precious metals have over bitcoin is that they are tangible money and embody payment in and of themselves – they do not rely on the internet. Bitcoin has been known for its price volatility. The price charts show some enormous, rapid gains as well as some furious downward corrections. As of this writing in late 2017, bitcoin has risen above $6,000 – a more than 5-fold increase since January 1st, 2017. That sort of price movement can, and should, have investors asking whether it is warranted. If bitcoin can deliver on its promise to become a major world currency and a disruptive technology, the answer will be yes. 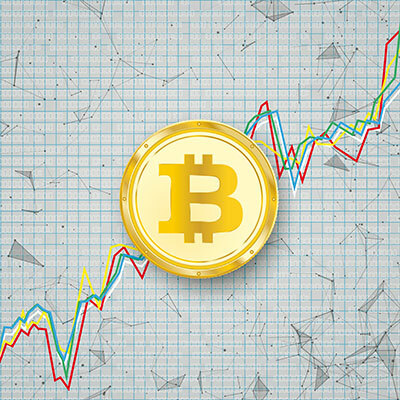 As bitcoin adoption increases, bitcoin’s price is expected to stabilize. Is bitcoin going through the process of creative destruction and revolutionizing money? Does bitcoin possess the economic foundational principles to parlay its short-term success into a long-term store of value and widespread adoption? Or is bitcoin merely a flash in the pan, nothing more than a digital tulip? Time will tell. While bitcoin is off to a promising start, it behooves any investor to understand that bitcoin, at least for now, is speculative. And though it is a decentralized currency, governments are still likely to attempt to influence its value in various ways. Gold and bitcoin do not have to be at odds with one another and do not serve as substitutes. Gold and bitcoin work well as compliments to any portfolio that wishes to balance speculative growth with a proven inflation hedge. 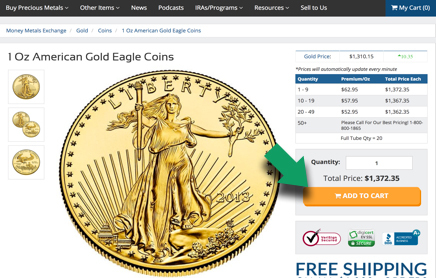 Money Metals Exchange accepts credit or debit cards, money orders, personal checks, wire transfers, and bitcoin payments through Bitpay, making it very easy to buy physical bullion. Money Metals Exchange accepts bitcoin payments for a low 1% transaction charge. 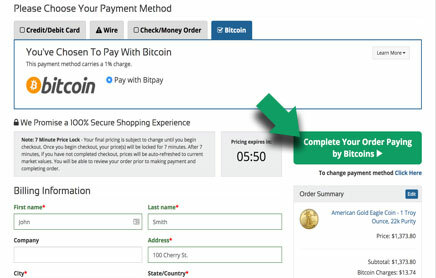 After providing your information, click “Complete Your Order by Paying Bitcoins.” Be aware: Your price is locked for 7 minutes once you begin the checkout process. 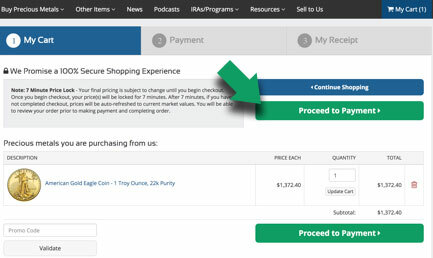 After 7 minutes, if you have not completed checkout, prices will be auto refreshed to current market values. 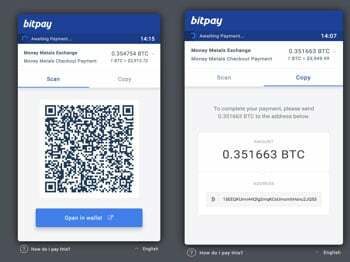 On the following screen, you will be given the option between scanning a QR code or copying the address and pasting it directly into your wallet. Again, be mindful that your price is only locked for 7 minutes. Once payment has been sent to the wallet address provided, that’s it – you are all done. We will confirm receipt of your payment and ship your order promptly.